As a New Yorker gone rural, I live and work in a relatively isolated way in the foothills of Virginia’s Blue Ridge Mountains. Winters are my deep rich studio time, and yet this past winter, I found myself, more than usual, in need of plugging in to a conversation among artists. The Big Questions were lurking in plain sight, and they were large. Is material-based visual art resonant anymore? Can art still connect us to our human-ness as we trample further into the 21st century, catastrophes accumulating? Is there an avant garde at the true fore edge of culture, free from cynicism and market forces? And not only had I just lived through the most wrenching two years of my life, I was wondering if my own work was running aground on the shoals of irrelevancy. Can art still connect us with our human-ness as we trample further into the 21st century? So I made plans to go to Big Ears, a cutting-edge festival of music, film, and poetry in Knoxville, TN, which took place over the course of a few bright days in the Appalachian springtime. Those aural and often improvisatory art forms had always been clarifying for me—the cultural equivalent to a walk at the ocean’s edge. Launched in 2009, Big Ears has become a quietly intense mecca, where genres break down and the flow of creativity is unleashed. Near the center of its vision and programming is classical music. This year’s artist in residence was John Luther Adams, the 2014 Pulitzer Prize-winning classical composer. Yet from big names to unknowns, from the minimalist mega-amplified drone sounds to acoustic Haitian merengues, from poetry slams to the symphony, I was immersed for days in a bath of sound and experience. Cellist Maya Beiser performs a solo. Big Ears has become a quietly intense mecca, where genres break down and the flow of creativity is unleashed. Collaboration and crossing boundaries were the dominant leitmotifs. John Luther Adams’ compositions were performed in a variety of venues: a defunct church sanctuary on the other side of the tracks next to the mission home; in the grand Tennessee Theater by the Knoxville symphony; and by dozens of musicians stationed in various locations throughout a small nature sanctuary. 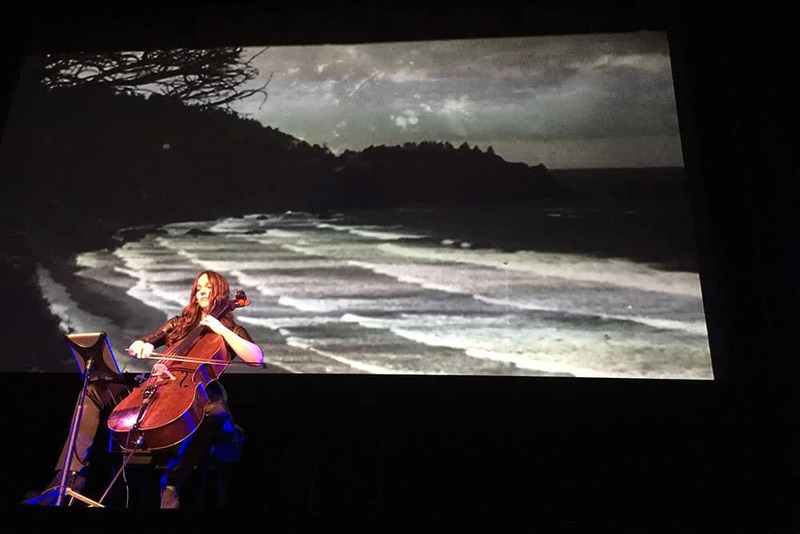 After playing with the symphony on opening night, cellist Maya Beiser performed a hypnotic solo program that included a Michael Harrison instrumental “Just Ancient Loops” and a David Lang composition set to Lou Reed’s text for “Heroin,” both accompanied by evocative projections by film maker Bill Morrison. In the Q & A that followed the screening of Laurie Anderson’s film Heart of a Dog, she answered the question posed by a nine-year-old boy, “Have you ever been to space?” with an unforgettable looping story that began with reframing the concept of space—“Yes, I have because we all live in space”—and ended with a plea for the importance of artists’ voices in the national dialogue, weaving in her artist’s residency with NASA and her correspondence with John F. Kennedy as a child. Within the framework of performance-based work, there was no confusion at Big Ears between art and entertainment or art and advertising. 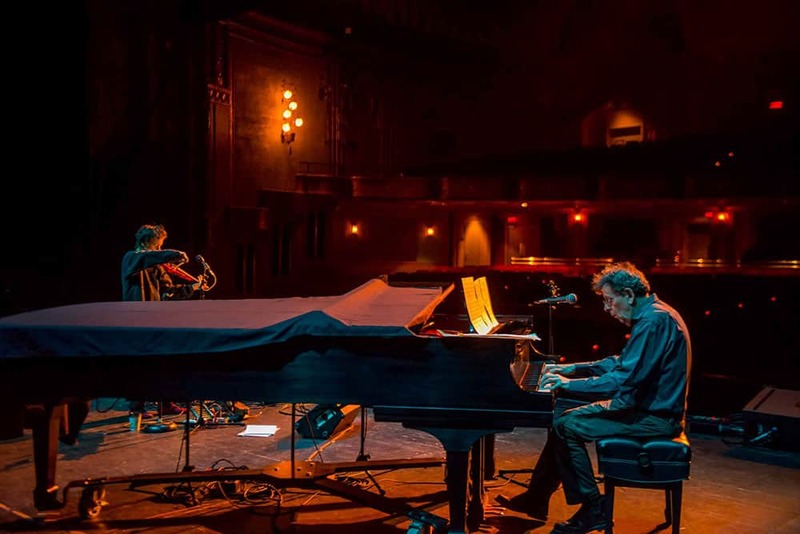 Anderson and Philip Glass gave a haunting collaborative performance. With Anderson on the violin and Glass at the piano, they created overlays of spoken word and sound. Anderson performed new versions of her own poetry, she and Glass sometimes trading spoken stanzas. In two pieces, they wove a sonic tapestry around recordings of Allen Ginsberg and Lou Reed, each reading his poetry. The confluence of imagery, sound, and the artistic and cultural legacies invoked was transcendent, seemingly separate from time and death. Perhaps it is because of her love of art that her work sustains such resonance and force; her commitment to “beauty in all its forms”; and to the difficult interface between the personal and the political, the intimate and the mundane. Layered upon her foundation in sculpture (1972 MFA from Columbia University) are mediums of increasing porosity—words, sounds, actions, silence, light—that circle and engage with enduring themes and stories while reaching for what is just beyond. Within the framework of performance-based work, there was no confusion at Big Ears between art and entertainment or art and advertising. In the in-between spaces where festival participants comingled, no one talked self-importantly or pressed materials upon you. No snarky critiques, only recommendations about who to see if you could see it all and tips on managing the intensity of the sensory download. Conversations began while waiting at windy street corners with “Who did you just hear?” then unfolded over the next blocks into topics of craft, the trajectories of artists’ work and influences, and the power of the experience, ending as we peeled off into the doorways of our next venue. 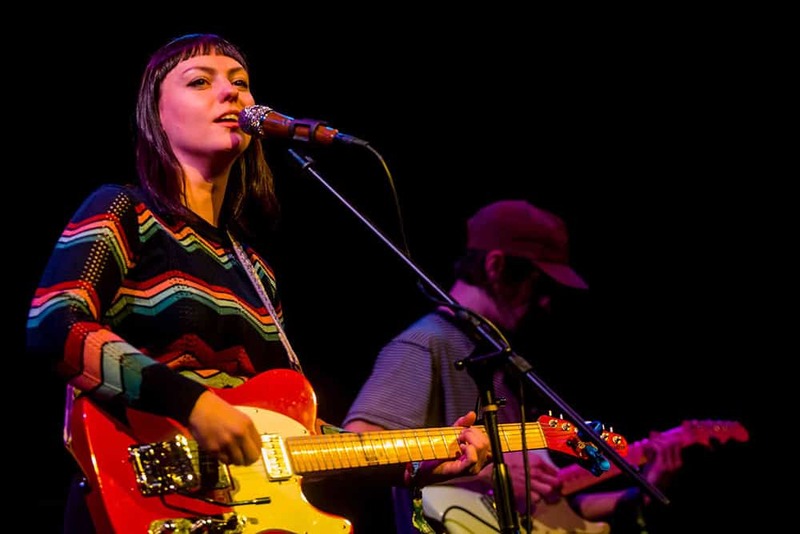 Financially viable and respected by artists, audiences, and critics alike, Big Ears is a model of non-elite, high-caliber cultural pollination. Could that be said about Miami Basel? The endlessly proliferating biennales? Or our supersized art institutions? Our complicity in accepting as a definition of art something that generates revenue and performs successfully in a speculative economy called an “art market”—a specious argument at best—has undermined the foundation of art itself and our language to talk about it. And perhaps even undermined our courage to challenge our own models. Every program I attended at Big Ears was luminous in its own way, if not immediately then in the unfolding aftermath. Sounds I had never heard before resonated deeply within my being, rendering me speechless and changed. I drove home in six hours of silence, contemplating that resonance of the not-known-but-felt. After I returned, I discovered that the leitmotif of crossing boundaries had followed me home, too: an installation/exhibition of my work in a raw metal fabrication shop materialized as did a visiting artist invitation with the sculpture department of my alma mater. Each would be a new conversation in a new context yet both opportunities seemed to be reaching in different directions and paradoxically toward each other. And as these days where I live unfurl, I notice the terrain of my thoughts has shifted as well—the questions re-shaped, a faith restored, and a quickening of the forms that lie just beyond my vision. Millicent Young is a sculptor and the owner of Swift Run Studio in Ruckersville, VA. Her work has been exhibited at the Portsmouth Art and Cultural Center in Portsmouth, VA; the Hillyer Art Space in Washington, DC; and Chroma Projects in Charlottesville, VA. She will have a one-woman show at Sweet Briar College in 2016-17, and she last wrote for Vasari21 in December 2015 (https://vasari21.com/millicent-young-artist-essay/). More about her work can be found at millicentyoung.com. 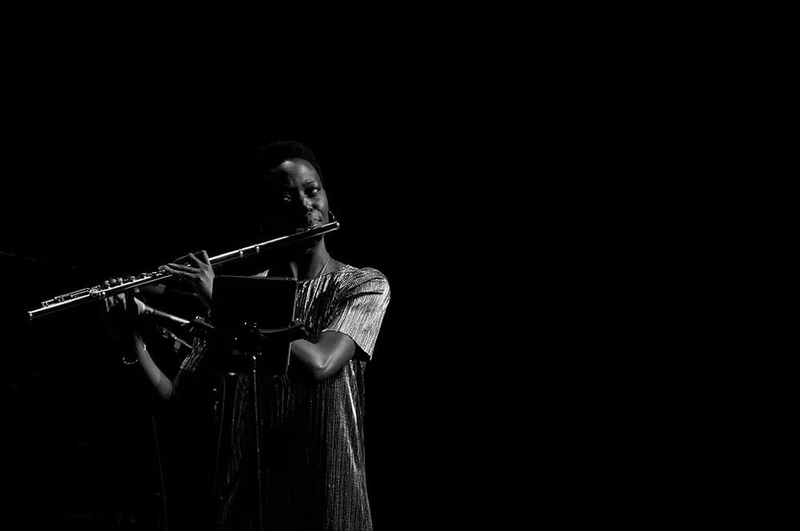 Photo credits: A screening of Laurie Anderson‘s film Heart of a Dog (Jill Sanders); Maya Beiser (Millicent Young); Glass and Anderson in concert and Angel Olsen (Bill Foster). Before I even saw who wrote the article I thought of you! This was so inspiring and I want to put Big Ears on my calendar for next year as a inspirational retreat. Very thoughtful and insightful article, Millicent. Art existing outside of the ‘market’ making multilayered connections Hopeful. Thanks. Hope our paths cross again someday soon.